TopForex is the registered brand of Goldenburg Group LTD, broker provides more then 3000 instruments, including stocks, bonds, commodities, indicies and the ForEx market. 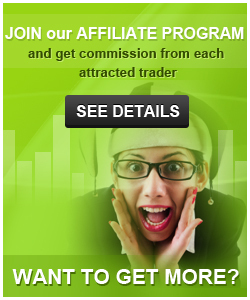 Being an STP-broker, the company is interested in a success of its traders. For the short period of time it has been opened 18 offices throghout the Europe, as more and more clients approaching. All the clients have segregeted accounts, which is a guarantee of safeness of client's actives. 1. The 10% Credit Bonus will be deposited into the relevant Trading Account. 2. The 10% Credit Bonus will be applied on deposit into the relevant Trading Account for promotions that will be subject to such Bonuses. 3. The 10% Credit Bonus only applies to deposits over an amount that will be duly notified to Client as per point 5 below. 4. The 10% Credit Bonus will apply over a timeframe that will be duly notified to Client as per point 5 below. 5. The Company shall communicate via email to the Client, the deposit amount necessary for obtaining the 10% Credit Bonus, timeframe over which the Offer shall apply as well as the terms and conditions that will apply for the 10% Credit Bonus Program. The Client shall agree to the content of this email and apply to participate in the 10% Credit Bonus Offer for via return email or, by clicking on accept and apply link/button indicated. The Company reserves the right and discretion to approve or reject applications made by Clients for the 10% Credit Bonus Program. The Company may extend the said timeframe at its own discretion and upon the Client’s consent. 6. This 10% Credit Bonus Program can only be applied to one account per Client. If the Client has more than one accounts, the 10% Credit Bonus shall only apply to the account that the Client will explicitly specify. 7. The maximum Active Bonus that can be claimed by this 10% Credit Bonus Program or any other Bonus Program run by Company is USD 100.000, EUR 100.000 per Client, or other currency equivalent. 8. Active bonus refers to the following: Total Bonus Awarded through all Bonus Programs run by Company – Removed Bonus = Active Bonus, where Removed Bonus equals all bonuses removed according to paragraphs 14, 18, 19, 21, 22 and by means of other Bonus Programs run by Company. 9. To withdraw the total Credit Bonus, the deposited amount which was at least 10 times the Credit Bonus, must be traded for a Volume of 10.000 times that amount, within one year from the date the Bonus was credited to the client’s account. For example if the deposited amount is USD 10.000, and Credit Bonus is USD 1.000 then a Volume of USD 10.000.000 must be traded in order for the bonus to be withdrawable. 10. Should the Client have been awarded Bonus also through 30% Credit Plus Bonus or 50% Credit Plus Bonus programs run by the Company, to withdraw the Bonus, conditions according to the Credit Plus Bonus programs has to be met for all Active Bonus instead of conditions according to the paragraph 9. 11. No proportionate withdrawal of bonus is allowed. For example if the deposited amount is USD 10.000, and Credit Bonus is USD 1.000 then should only a Volume of USD 5.000.000 be traded Client will not be able to withdraw USD 500. Furthermore, if the volume requirements are not completed then the 10% Credit Bonus can only be used for credit purposes (increasing leverage of Clients’ account). 12. Once a client completes the volume requirement, they will need to send an email to support@topforex.com requesting the bonus to be released for withdrawal. 13. After the volume requirements are met, the client has three (3) months in order to claim the bonus to be released. Failure to do so within the aforementioned timeframe will invalidate the client's right to claim the bonus. 14. When a Client makes a withdrawal from their account, and the Bonus has not been fully tradedaccording to the previous paragraph, they will be subject to a removal of the total Credit Bonus amount awarded. If the Client has open positions and in the event that any losses are incurred as a result of such a removal of the Bonus the Company will not be held liable. 15. Any bonus amount that has been removed cannot be reclaimed upon a client making subsequent deposits into the account. 16. The maximum leverage available on accounts to which the 10% Credit Bonus has been applied is according to the current trading conditions disclosed on the webpage www.topforex.com/trading/trading-conditions. 17. In the event that the maximum total bonus has been credited and lost or removed, other 10% Credit Bonus Account may be awarded upon Companies’ consent. 18. If volume requirements are not met and the Equity (displayed in the platform) of the account goes below the Active Bonus (displayed in the platform) amount then the bonus is removed automatically by the system. In other words, if the Cash Equity (Equity – Active Bonus) becomes zero or less, all Active Bonuses will be cancelled and removed from the respective Client’s account. In these circumstances the Company shall not be liable for any consequences of the bonus cancelation, including, but not limited to, order(s) closure by Stop Out. 19. Internal funds transferred between trading Accounts within the Company are considered as withdrawals, therefore Bonus removal will be applied according to paragraph 14. 20. Credit Bonuses cannot be transferred between to, or from Clients’ trading Accounts within the Company. 21. If the Company has reason(s) to believe that a Client has abused the terms and conditions of this Bonus Program by hedging his positions internally (using other trading accounts held with the Company) or externally (using other trading accounts held with other brokers), then the Company reserves the right, upon 5 days’ notice, to withdraw the Credit Bonus (and the Additional Bonus if applicable) from the Client’s trading account(s) or from his winning hedged accounts. If the Client has open positions and in the event that any losses are incurred as a result of such a removal of the Bonus the Company will not be held liable. 22. If the Company has reason to believe that a Client has more than one account under this Bonus Program, then the Company reserves the right, without the Client’s consent to withdraw immediately the Credit Bonus from the Client’s trading account(s). In the event that any losses are incurred as a result of such a removal the Company will not be held liable. 23. The Client acknowledges that Forex and CFDs are leveraged products which involve a high level of risk. See Companies’ Risk Disclosure and Warnings Notice for further details. When trading in such products, it is possible for Clients to lose all their capital. These products may not be suitable for everyone and Clients should ensure that they understand the risks involved. Electing to utilize this Bonus Offer may increase the risk of trading. Clients should seek independent advice if necessary. 24. The Company reserves the right to unilaterally modify, change or terminate this Bonus Program or any of the terms and conditions included herein, at any time, upon 10 days’ notice, without the Client’s consent. The Client shall be treated as accepting the change on that date unless, before then, the Client informs the Company that the Client wishes to terminate the Bonus Program and not accept the change. If the Client has open positions and in the event that any losses are incurred as a result of such a modification, change or termination of the 10% Credit Bonus Program the Company will not be held liable. 25. Participation in the 10% Credit Bonus is not allowed for persons under the age of 18 or otherwise under the legal age in their country of residence. 26. Please note that you cannot switch between bonus programs. 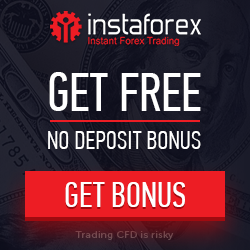 A Client can request to remove the Bonus only via email to support@topforex.com. In such a case all active bonuses will be removed and no bonus will be awarded on further deposits. 27. In the case of selecting the 10% Credit Bonus there might be no margin call alert. 2. Contact TopForex to have the funds transferred from your old account to the new one.